The blockade started on February 11th at 2:30 in the afternoon, in temperatures with wind chill of forty below zero. 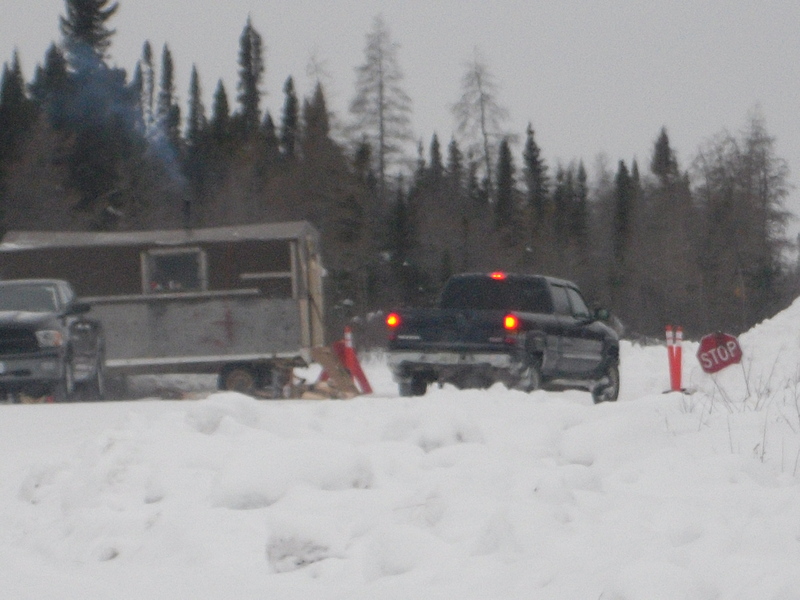 The Cree activist who called me was very concerned because the blockaders were being ignored. Soon my colleague, Greg Valerio posted information on his site and I posted on Fair Jewelry Action. Following calls to De Beers London, who responded very promptly, I learned of meetings that were held in De Beers Canada. Apparently, a De Beers representative met with the group today and the blockade has been lifted. I am to receive photos of the blockade and am currently working on an interview with one of the activists. I also left a message yesterday with Tom Ormsby, External Affairs, De Beers, Canada, but he has not returned my call.